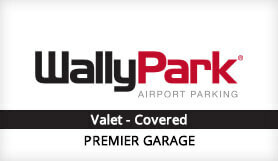 WallyPark Premier Airport Parking SEA offers first class service. Luggage assistance is provided, and shuttles to the airport terminals depart every 5 Minutes, 24/7, 365 days a year. Hand car wash & detailing service, complimentary USA Today and bottled water is also available to all customers. Your convenience is our number one priority at WallyPark. With our one-of-a-kind services, you can come home to a clean car, fresh clothes, and a happy pet, just ask us about these services before your arrival. Wallypark guarantees first-class service and friendly staff that is always ready to meet your needs. Please show a copy of your Reservation Receipt to the parking attendant on arrival at WallyPark. Information will be given when you drop your car off at WallyPark.